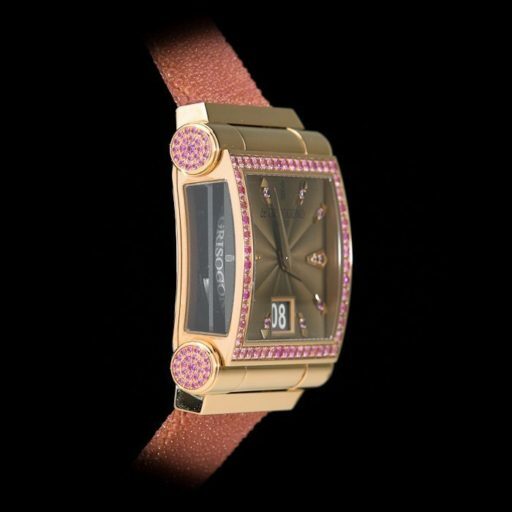 BeckerTime is proud to offer this stunning “de Grisogono” Ladies/Unisex Solid 18k Rose Gold “Grande” Large Automatic Watch with Pink Sapphires that is guaranteed to take your breath away! 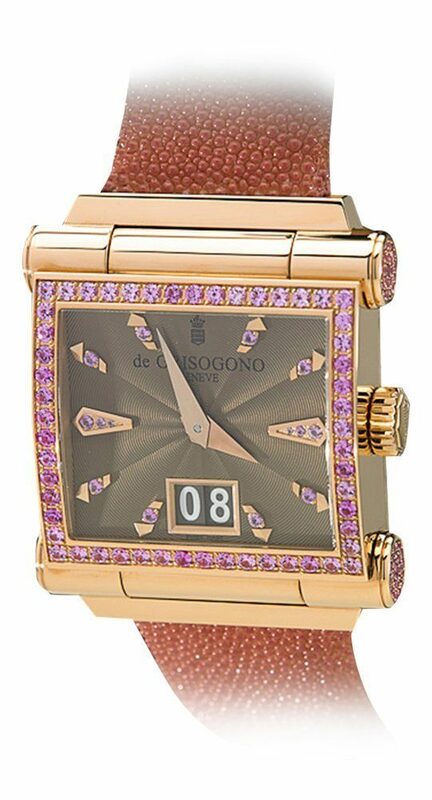 This stunning timepiece is a 100% FACTORY ORIGINAL “de Grisogono” with top-grade pink sapphires on the bezel, lugs, and dial. A gorgeous timepiece, such as this, is only produced in extremely small quantities, and is one of only 234. This jeweled timepiece is fit for a ruler, and is rarely discounted. 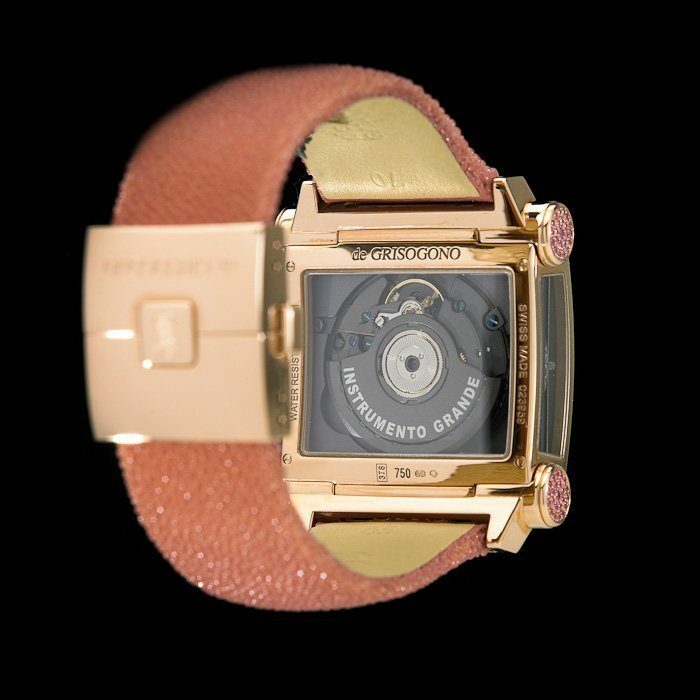 Do not get this watch confused with the regular “de Grisogono” line. 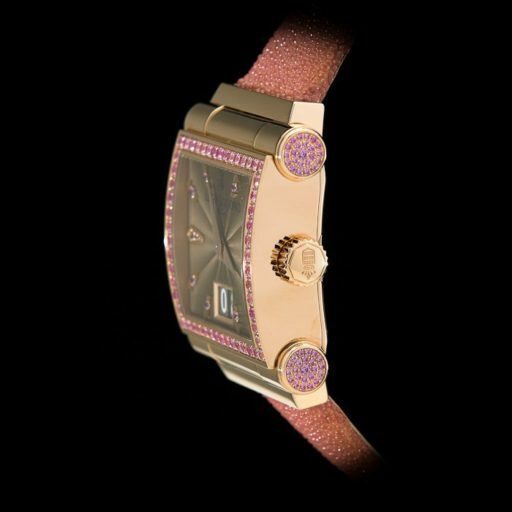 This is their solid 18k gold, precious-gem, “high-jewelry timepiece” line, and uses only the rarest and most amazing gems. 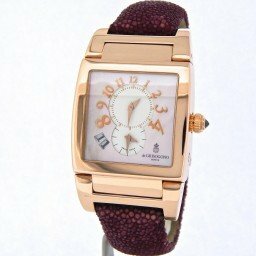 Due to the large size, this can be a unisex model – a strap change to black or brown would make it a stunning watch for any fashionable gentleman. 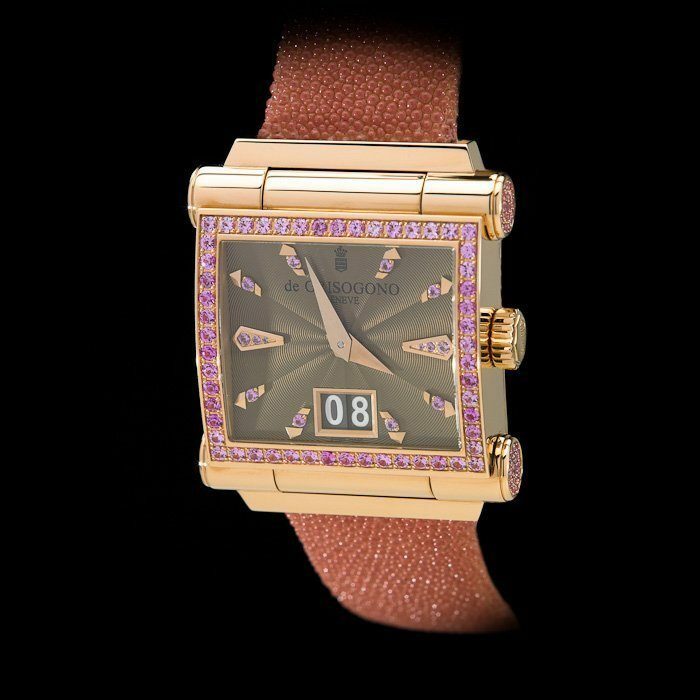 This watch was famously featured on “de Grisogono’s” catalogue as a flagship work of art. The gems are absolutely fiery and sparkle under the light. Photos do not do this piece justice. 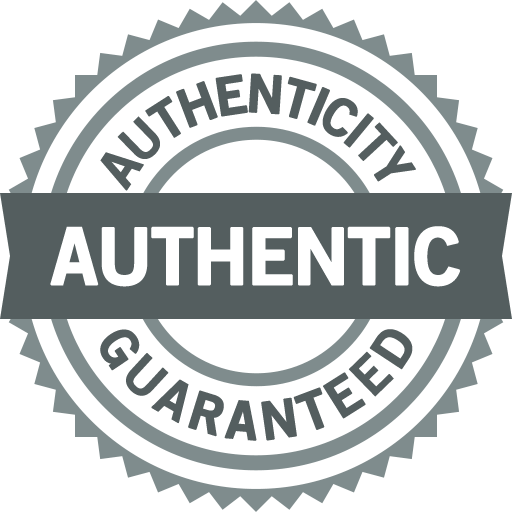 Wrist Size It will fit a 6″ up to a 7 1/2″ wrist.